1. 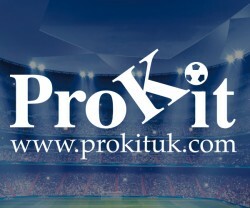 Enter Full Time Site via the EOFL on Full Time link in the left had margin of the League Web Site. 5. From the list of matches shown pick the date of the match whose team you wish to enter and press Statistics. Underneath the details of this match you will see it says Marks For Referee and then the name of the Referee. Enter a mark out of 100 for Referees in the adjacent box and then press Update. Answer the questions relating to the pitch and signed on the day players. 8. Under the heading STARTED, Tick the players who played in the match and under the heading BENCH USED Tick the substitutes who actually came on.. Players signed on the Day may not appear on the list of players for a few days so you may have to go back and tick them off later in the week. Note:- Where a player has been sent off for receiving two cautions, you should only tick the the Yellow Card & Second Yellow Card boxes adjacent to his name NOT the Red Card box. If a player has has been cautioned and is then sent off for a Red Card offence, you should tick both the Yellow Card and Red Card boxes adjacent to his name. 11. Click on Update Stats for Players and then unless the opposition scored any own goal (see 12 & 13 below), go to 14 below. 17. To check your entry, from the League page choose the division your team play in from the middle drop down menu then click on your team next to the match date and details of the players who took part etc. will appear. If there is anything you wish to amend go to 2 above. 18. You can also check the players listed as playing for the opposition on the page mentioned in 16 above with the team sheet you were given, and if they are not the same you need to e-mail the Registration Secretary and tell him. 1. DO NOT enter the players in any competitions not under the jurisdiction of our league such as County or Charity Cup matches. 2. If you sign a player on on the day you must send the Signed on the Day form to the REgistration Secretry. The player signed on the Day may not appear on the list of players for a few days so you will have to go back and tick them off later in the week. 4. The entering of the Referees mark and team details on the Full Time System must be submitted within FOUR DAYS of the match being played or your club WILL be fined. 5. You will find that you cannot enter your teams details onto the system until you have entered the referees mark.